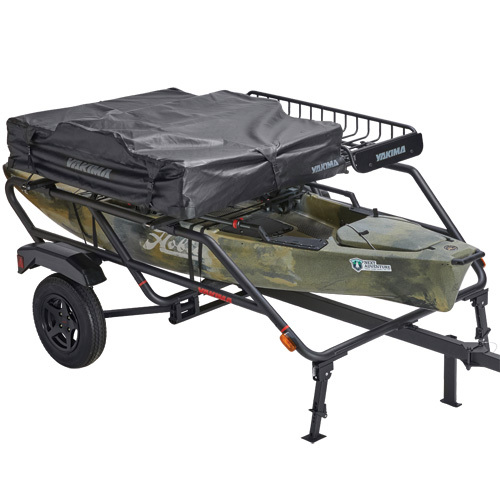 Yakima EasyRider High Trailer 8008129 is designed to carry recreational kayaks, fishing kayaks, canoes, paddleboards, bikes, cargo boxes and even light loads of construction and yard materials. 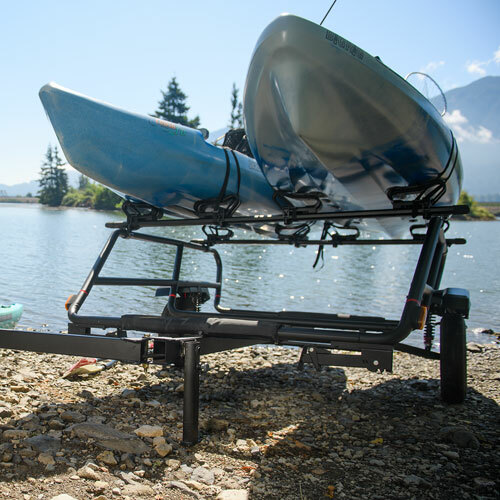 Using a sports trailer for your long and heavy boats, up to 19 ft long, eliminates the need to lift these awkward items onto your roof rack. 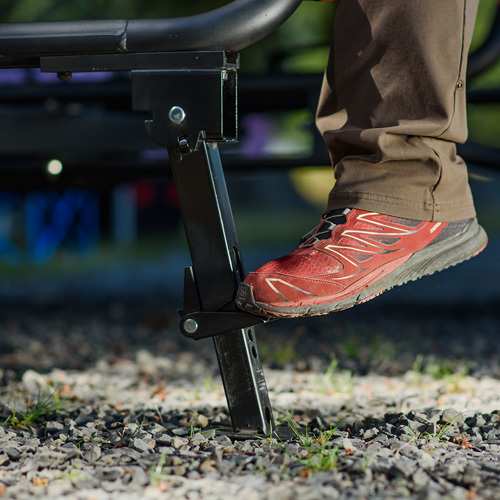 Plus, your gear is always in sight - adding piece-of-mind while traveling. 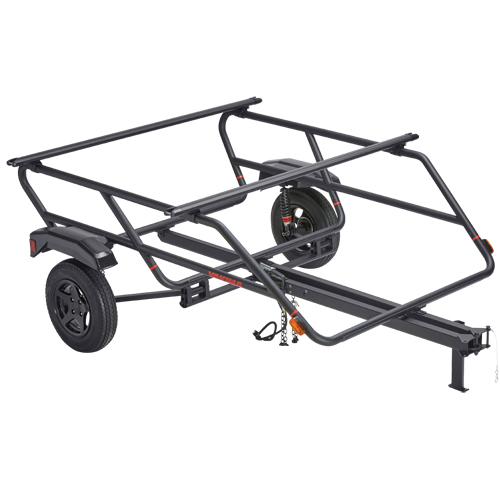 Yakima's EasyRider High Trailer carries up to 500 pounds of gear and has 2 levels of wide, 78" HD heavy-duty crossbars for carrying heavy, bulky items. 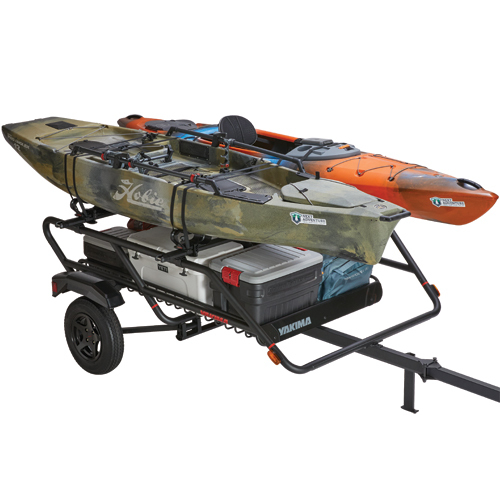 All current Yakima carrying accessories attach to EasyRider's heavy duty crossbars. 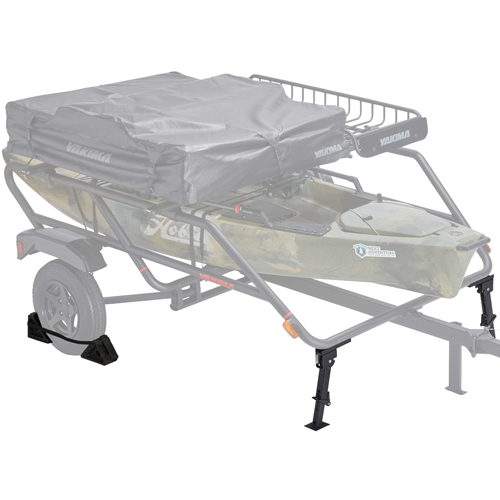 EasyRider's aluminum construction is lightweight, strong and corrosion resistant. 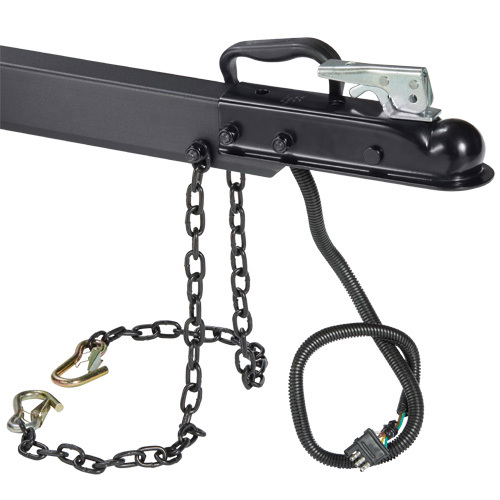 EasyRider works perfectly with Class I, II and III hitches as long as a 2" ball is attached. 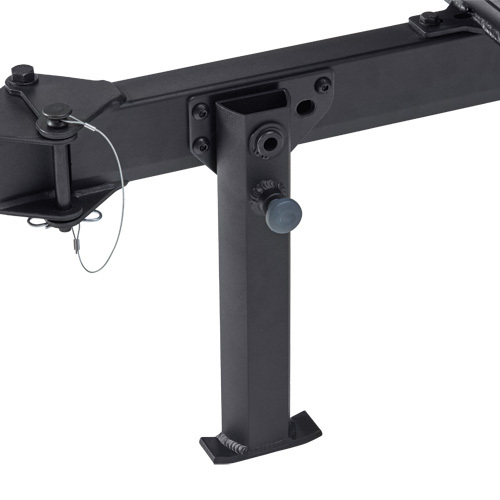 Top of ball should be 16" above the ground. 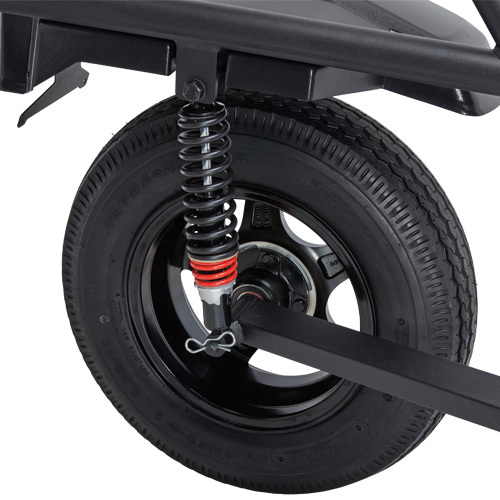 EasyRider's shock absorbers will give your gear a smooth ride - even at highway speeds. 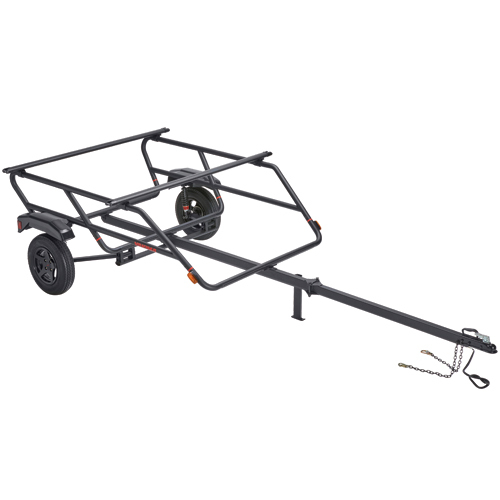 A kickstand and carrying handle, fastened to the of the tongue, makes moving the trailer simple. 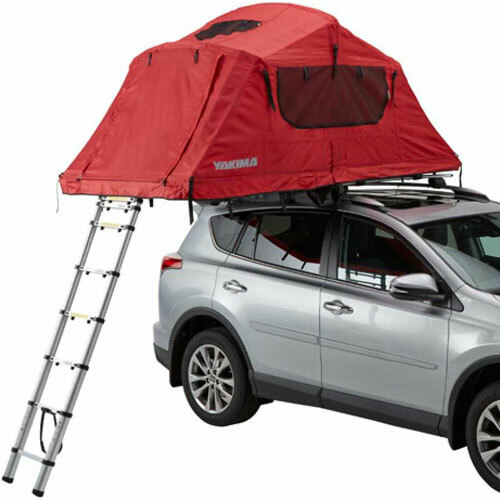 The folding tongue makes storage into tight places much easier. 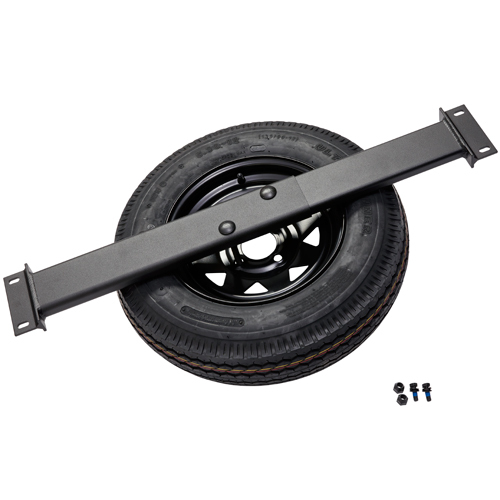 The EasyRider SpareTire Kit will help prepare you for the unexpected (sold separately - see below). 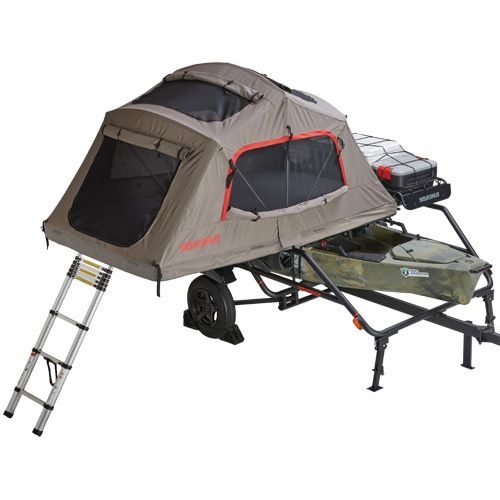 With the addition of the Yakima TentKit 8008127, the Yakima SkyRise Rooftop Tent may be attached to the top bars of the EasyRider High Trailer.